Home to the historic Nez Perce Trail, the Bitterroot Valley holds much history. Stop by a number of historic sites and museums during your visit. Located in Wisdom, Montana the Big Hole Battlefield is the site of the 1877 conflict between the fleeing Nez Perce tribe and the United States army. Stop by this huge 24,000 square foot mansion, once owned by copper king Marcus Daly. This unique attraction hosts everything Cowboy and Indian, Rodeos and Pow Wows. 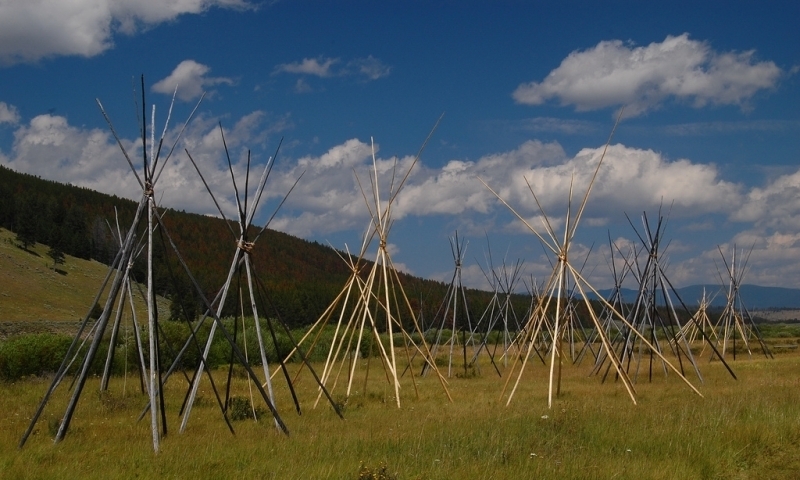 This historic trail was used by the Nez Perce to travel between home and their buffalo hunting grounds. It was also a trading trail used by famous trappers like Kit Carson. Housed in a historic cabin in Darby, check out artifacts and stories from the lives of early settlers. Learn about the Bitterroot Valley's unique heritage, culture and natural history in this Hamilton, Montana museum. As the first white settlement in the state, St. Mary's Mission holds much history. This small but interesting historical museum is located in Stevensville, Montana.